HffGlobal FootballNewsMichael Ballack: a nearly man or an undisputed midfield genius? Michael Ballack: a nearly man or an undisputed midfield genius? The former Chelsea and Germany midfielder says farewell to football in Leipzig on Wednesday – but what will his legacy be? On Wednesday night, in Leipzig, a former international will say goodbye to football. He won four Bundesliga titles and three German Cups. 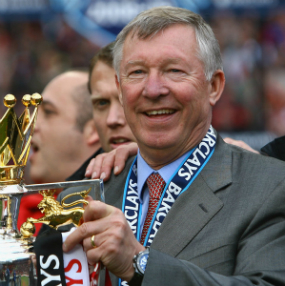 He won the Premier League title with Chelsea and three FA Cups. He represented Germany 98 times and was their captain for several years. Yet, somehow, Michael Ballack will perhaps always be seen as a loser. There was an arrogance about Ballack that – as he missed out on one major title after another – led to a lack of sympathy. The 2002 Champions League final, with Bayer Leverkusen, was lost to Real Madrid. A month later, Ballack almost singlehandedly took Germany to the World Cup final but, suspended, had to watch from the stands as Brazil won 2-0. Four years later, Germany lost to Italy after extra-time in the World Cup semi-final and in 2008 he was part of the Chelsea team that missed out on the Champions League final to Manchester United on penalties. In Germany, he has been described as an unvollendeter, an unfulfilled person. It seems harsh. As Udo Muras wrote so brilliantly for Die Welt this week, Ballack was “the lone shining light in a leaden era”. He was never, wrote Muras, allowed to play a quick one-two with Mario Götze or Marco Reus. Instead he had Torsten Frings and Carsten Jancker as team-mates for the nationalmannschaft. Can he really be castigated for not having won the Champions League with players such as Paolo Rink and Fabian Ernst, and is it really his fault that John Terry slipped on the turf that night in Moscow and missed his penalty? Of course not. Ballack was born in Görlitz in GDR in 1976. By the time the Berlin Wall fell he was playing for Chemnitzer FC and was still with the eastern German club when he was picked for the Germany Under-21 team in 1996. Two years later, Otto Rehhagel handpicked him to join the newly promoted Kaiserslautern side, which went on to stun the country by winning the title on their return to the Bundesliga. Three amazing years at Bayer Leverkusen followed, but the team was dubbed “Neverkusen” after, in 2002, finishing second to Dortmund in the Bundesliga, losing the German Cup final to Schalke and then the Champions League final to Real Madrid. Ballack moved on, joining Bayern Munich, where he stayed for four years. He has said that that last season in Bavaria, in 2005-06, he was at his absolute best, feeling unstoppable in every game. After that season, he arrived in London. He stayed with Chelsea for four years and has only fond memories of his time there. 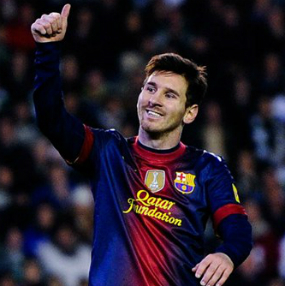 “Looking back it was a really successful and cool time,” he told the German football magazine 11Freunde in January. “London is a brilliant city. 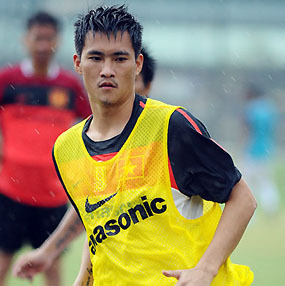 I was accepted by my team-mates, even though I had to work hard in the beginning. Ballack remembers having to sing the German song “Du entschuldige I kenn di” at his Chelsea initiation. “It wasn’t too embarrassing, they didn’t understand a word I was singing after all. And I only needed to sing the first verse as I was so poor that they started throwing napkins at me. At Chelsea, Ballack played for José Mourinho – who is reportedly going to be at the game on Wednesday to pay tribute to Ballack while also trying to tie up a deal for Bayer Leverkusen’s André Schürrle with the German club’s sporting director, Rudi Völler – but it was also while at Chelsea that he suffered the injury that was the beginning of the end of his career. A horrible tackle by Portsmouth’s Kevin-Prince Boateng in the FA Cup final in 2010 destroyed Ballack’s ankle and ruled him out of that summer’s World Cup. Germany went to South Africa without their “Capitano” – and played brilliantly on their way to the semi-finals. Maybe he should have seen the end coming after he was slapped by his team-mate Lukas Podolski in a game against Wales the year before. In 2010, Ballack returned to Leverkusen but back at the club where he shot to fame, he struggled. “As you know I had worked with a lot of great managers and have got on really well with them,” he told 11Freunde. “They gave me the feeling they were building a team around me. And that is why I was surprised that this was no longer the case at Leverkusen [with Jupp Heynckes and Robin Dutt]. At Leverkusen, Ballack’s career died a slow and painful death. With Germany, he also struggled to adapt as Philipp Lahm was made captain. 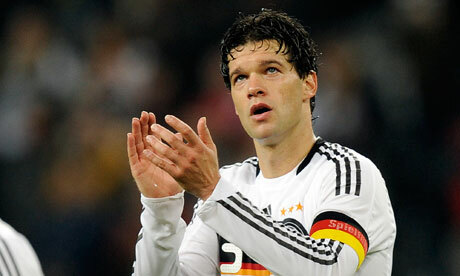 Ballack later fell out with Joachim Löw and suddenly the midfielder was a leader with no team to lead. It is perhaps symptomatic of Ballack’s career that when Germany offered him a farewell game against Brazil and the chance to reach 100 caps, he labelled it “a farce”. Ballack played on with Leverkusen until the end of the 2011-12 season and toyed with the idea of playing in the United States or even Australia, but eventually announced his retirement in October last year. And in the future, with a little more hindsight, we may be able to focus a bit more on Ballack the player rather than all those near-misses. He probably deserves it.